Title: Normative Judaism? 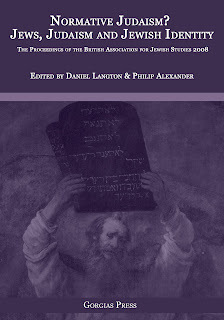 Jews, Judaism and Jewish Identity: Proceedings of the British Association for Jewish Studies (BAJS) conference 2008. Editors: Daniel R. Langton and Philip S. Alexander. Download the complete volume for free (1.2 MB, pdf). Buy the printed edition ISBN 978-1-60724-161-4. Normativity, as defined here in relation to Jewish religion, has two levels of meaning: firstly, the discovery and articulation of norms in relation to beliefs, practices and social structures characteristic of Judaism, and, secondly, an analytical category that facilitates the evaluation of any group that defines itself as Jewish as being marginal/central, radical/conservative, or innovative/traditional. This methodological approach is by no means essentialist. It is rather a pragmatic approach whose utility can be seen, for example, in resolving the practical challenges faced when prioritising which of a multitude of materials should be included in a university undergraduate introductory course to Judaism. It is premised on a criterion of universality: the more universal a phenomenon (in relation to Jewish self-perception and across space and time), the more it qualifies for inclusion as normative. The case of the Beta Israel and the question of their Jewish identity provides one illustration of the way in which such a methodological approach, which is fundamentally historical in character, can result in a conclusion that is at odds with many social, religious, and political claims. In the end, the problem to be faced whatever approach is adopted is whether normativity as determined by academic criteria and analysis, and normativity as determined within the faith communities, carry any implications for each other in the real world. Moses Maimonides is a central figure who would figure prominently in many accounts of normative Judaism. There are also ways in which he is marginal. He operated between different traditions of thought, placing him on the margins of each. His Guide for the Perplexed is a work that draws upon them all. It is sometimes thought to represent a non-normative Judaism which it hides behind a veneer of traditional belief. However, the reasons offered for this view should be put down to the fact that it was also written in order to update the rabbinic tradition into a new idiom appropriate for a new time; Maimonides operated on the margins between different eras. Furthermore, despite his importance for Judaism his ideas have often to be marginal to Judaism because they draw on universal philosophical ideas and thus allegedly encourage apostasy. Those who criticise him for practising philosophy fail to distinguish between universal philosophical norms and the ability of particular people to access those norms. It is possible to outline two ways of approaching the subject of Felix Mendelssohn’s Jewishness in relation to his oratorio St Paul. Firstly, one can consider certain theoretical considerations that emerge from the field of Jewish Cultural Studies in relation to complex Jewish identity in the modern world. In the light of these considerations, it will be suggested that the St Paul libretto shows the impact of his Jewish heritage and, in fact, demonstrates nicely the messy kind of Jewish self-consciousness that is often of greatest interest to scholars in the field. Secondly, one can consider the context of Jewish approaches to the apostle Paul. Here it will be suggested that Mendelssohn’s oratorio can be seen to function in a very similar way insofar as he seems to blur the boundary between Judaism and Christianity. Between anti-Semitic and Whig presentations of the history of Anglo-Jewry lies the occasionally uncomfortable reality of Jewish normality. Despite the best efforts of the Anglo-Jewish elites, British Jews did not always behave as they were expected to do, and the city of Manchester in the Victorian period provides an excellent window onto the world of everyday Jewish diaspora life. It was a bustling city characterized by massive immigrant settlement, which juxtaposed popular anti-alien sentiment and the self-congratulatory platitudes of liberal Mancunians. Looking beyond the defensive posturing of local Jewish community leaders such as Nathan Laski, the historian is led to the sordid reality of bankruptcy, domestic violence, theft, perjury, con-artistry, assault, gambling, and prostitution. The argument presented here is that the danger of constructing Jewish life in terms of a rose-tinted collective mythology – or in terms of an anti-Semitic obsession with Jewish difference – can be tempered by the notion of ‘Jewish ordinariness’. 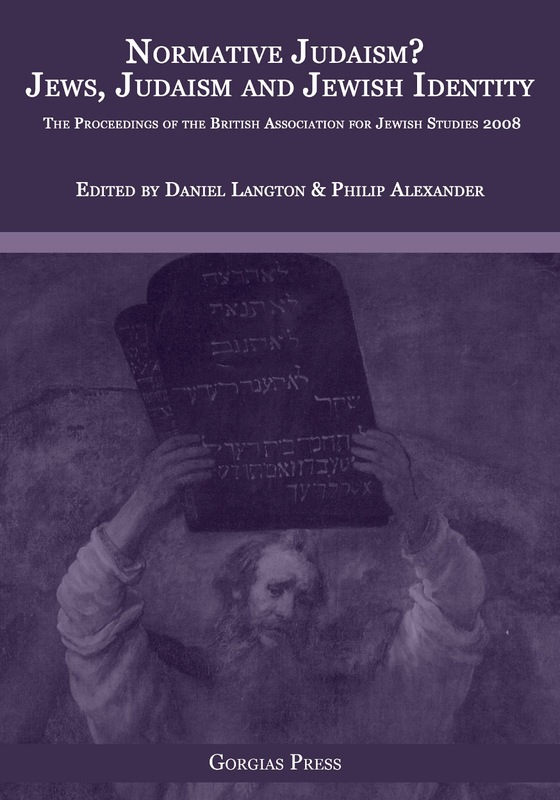 This study explores the conception of ‘normative Judaism’ in early 20th-century Britain through an analysis of unpublished sermons delivered during the First World War by an Orthodox and a Liberal preacher near the beginning of what would be illustrious careers. Common themes are exemplified in powerfully impressive passages from these sermons: the shock at the outbreak of a European-wide conflict and its challenge to widespread assumptions about civilization and progress; a strong sense that the apparent causes could not justify such bloodshed in tension with the desire to find some idealistic rationale for the war; ambivalence about siding with Czarist Russia against Germany and Austria, each with a far better record regarding their Jewish populations; the crucial importance for British Jews to demonstrate loyalty to their country; theological anguish and the question of why God permits the horrors to continue; the need to articulate an appropriate role for prayer (especially at national Intercession Services) despite the awareness that Jews and Christians in enemy nations were also praying for victory in the sincere belief that theirs was the cause of justice; a rejection of naïve optimism about the goals to be achieved as a result of the conflict. On each of these points, the position taken by the two preachers was almost interchangeable, suggesting that the concept of an over-arching Anglo-Judaism during this period is not without basis. Further comparison with contemporary war-time French and German Jewish preaching – in which the patriotic dimension and negative discourse about the enemy appears to be far more pronounced than in the British examples – will be illuminating. A blossoming body of academic literature argues for a range of normative Jewish approaches to the laws of war, based on ancient or medieval texts and on the argument that there is a practical contemporary need for a distinctive Jewish approach to making war and peace. Much of this literature is motivated by the conviction that there is a normative Jewish approach, against which competing opinions can be shown to be less credible and authentic. This essay explores the ambivalence which arises as a result of the twofold awareness that the textual basis which supports competing approaches to justice and peace is not unambiguous, and that geographical, denominational and political differences distinguish the various projects for a revived Jewish norm to govern the making of war and peace. The specific effect of music on the human mind has been explored by clinical psychiatrist Oliver Sacks, and responses to music have been examined by social philosophers such as Theodor Adorno. Their findings reveal the importance of music both on a personal level and as a social indicator. It would therefore seem axiomatic that music is a defining constituent in the taxonomy of any culture, whilst religious music, with integrated elements of spirituality, is particularly powerful in emoting direct and profound response and recognition. The biblical text indicates the centrality of music in all aspects of daily as well as religious life, although evidence of musical notation or of the sounds of chant or melody, sacred or other, has yet to come to light. The post-Biblical addition of a 2000 year Diaspora in which Jewish communities were established throughout the world, implies an additional absorption of the musics of a variety of host societies. Nevertheless, the tropes of Ashkenazi liturgy as well as genres such as Klezmer and the folk music of both Ashkenazi and Sephardi European Jewry are generally regarded as identifiably ‘Jewish’. This paper explores attitudes to musical appropriation and intercultural exchange in religious, para-liturgical and domestic music, and also considers notions of ‘sacred’ and ‘profane’ in a Jewish musical context, with particular emphasis on Hasidic religious ideology and the Sephardi women’s folk tradition. This essay argues that the representation of Jewish identifications in the permanent Holocaust exhibition in the Imperial War Museum, London, tries to balance the self-representation of Jewish victims with the demands of a perpetrator-led narrative that by necessity characterises Jews in antisemitic terms. The analysis is based on close readings of the exhibition, in particular of the photographic displays, archival sources and interviews with curators. Ultimately, the exhibition is unable to represent Jewish victims of the Holocaust as subjects with agency, because it focuses on the process of destruction at the expense of expounding on what was destroyed. This may be inevitable in a Holocaust exhibition. Nonetheless, the article poses the question whether such an approach has the consequence of unwittingly perpetuating antisemitic representations of Jews and Jewishness.